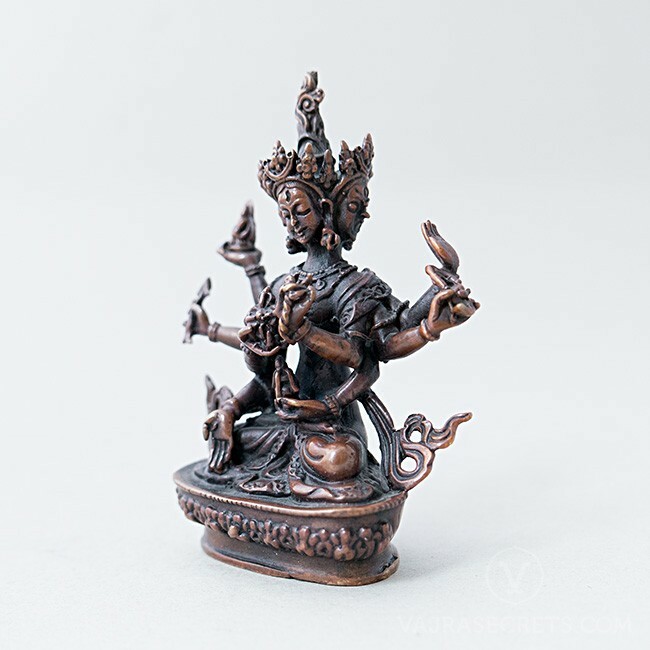 An exquisitely carved oxidised copper statue of the Long Life Buddha, Namgyalma, who bestows longevity and healing on those who seek her blessings for the purposes of attaining Enlightenment and benefiting others. A perfect addition to a small shrine at home or in the workplace, as part of a portable travel altar, or wherever healing is required. 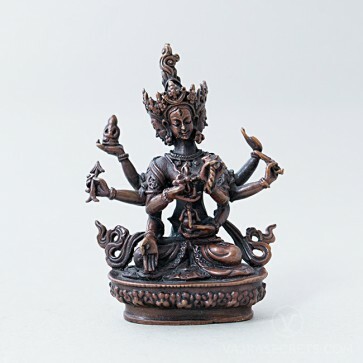 A 4-inch oxidised-finish copper statue of the Long Life Buddha, Namgyalma, exquisitely hand-carved by master craftsmen with full iconographic detail according to traditional scriptural sources. A perfect addition to a small shrine at home or in the workplace, as part of a portable travel altar, or wherever healing is required. Namgyalma came into being when Buddha Shakyamuni manifested in her form to help the deva named Susthita avoid a rebirth in the three lower realms. She bestows longevity and healing on those who seek her blessings for the purposes of attaining Enlightenment and benefiting others. She also purifies the negative karma of the body, and averts disease and life-threatening situations. Her practice is extremely efficacious to remove obstacles for one’s long life. Also known as Ushnisha Vijaya, she is one of the three Long-Life Deities, the other two being Amitayus and White Tara. White in colour, she has three faces, white, yellow and blue. Her faces have peaceful, semi-wrathful and wrathful expressions. Sitting in the meditative position on a lotus, she has eight arms, each holding different implements. 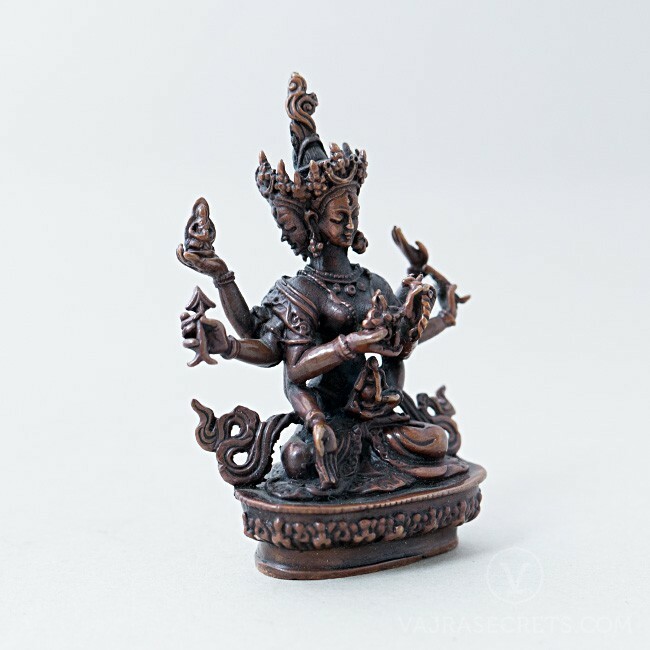 This Namgyalma statue can be personalised with a hand-painted face using real gold dust or insertion of mantras and holy items. One can also offer traditional brocade clothing, pearls and semi-precious stones, as H.E. the 25th Tsem Rinpoche always encourages the practice of making offerings to the Three Jewels, which creates the causes for us to attain the six paramitas (perfections).